Wearable health-tracking devices have soared in popularity over the last decade as fitness enthusiasts look to quantify their activity. But the technology is also finding a welcome home in the medical world, where patients with chronic conditions are using it to monitor their day-to-day health. The Embrace is a wrist-worn smart watch from Massachusetts Institute of Technology spinoff Empatica. It recently received FDA clearance to detect the most severe kinds of seizures for patients with epilepsy, as well as track their frequency and duration. The company raised nearly $800,000 on an Indiegogo campaign back in 2015 to get the product off the ground, hitting more than 500% of its funding goal. Epilepsy affects 65 million people worldwide. In the U.S., 1 out of every 26 people will be diagnosed with the seizure disorder at some point in their lives, according to the Epilepsy Foundation. Early detection and warning systems for epilepsy sufferers can save lives or prevent serious injury brought on by a severe convulsive seizure, and Empatica has positioned itself to be one of the leaders on developing that critical technology. The $249 Embrace uses advanced machine-learning capabilities to help patients and their caregivers closely monitor their seizure activity. It measures several different seizure indicators, including electrodermal activity — a signal associated with the fight or flight response. Such activity is studied by stress researchers to note the physiological changes that accompany a seizure, according to MedCityNews. The Embrace also monitors sleep and physical activity levels, which patients can use to correlate with what triggers a seizure for them. The success rate in clinical trials of the Embrace have been promising to say the least. The 135 patients tested across multiple epilepsy monitoring sites were fitted with the device while also being continuously monitored with video-EEG. Throughout 272 days, 6,530 hours of data was recorded, and the Embrace’s algorithm successfully detected 100% of the patients’ seizures, according to Empatica. The Embrace comes with an accompanying subscription-based app which can instantly alert caregivers to the onset of a seizure via SMS or by phone, even notifying them of their patient’s location. The app can also be used to remotely monitor the functionality of the device. For now, the Embrace is not available over the counter, requiring a prescription from a neurologist. Having epilepsy is something many patients are reluctant to admit to friends or family, which is why the device was designed with attractive aesthetics in mind as opposed to an overtly medical appearance. This enables users to wear the device as they would any other wearable fitness or sleep tracker without alerting the general public to their condition, a valuable privacy measure for those who don’t wish to broadcast their condition while still getting the benefits. 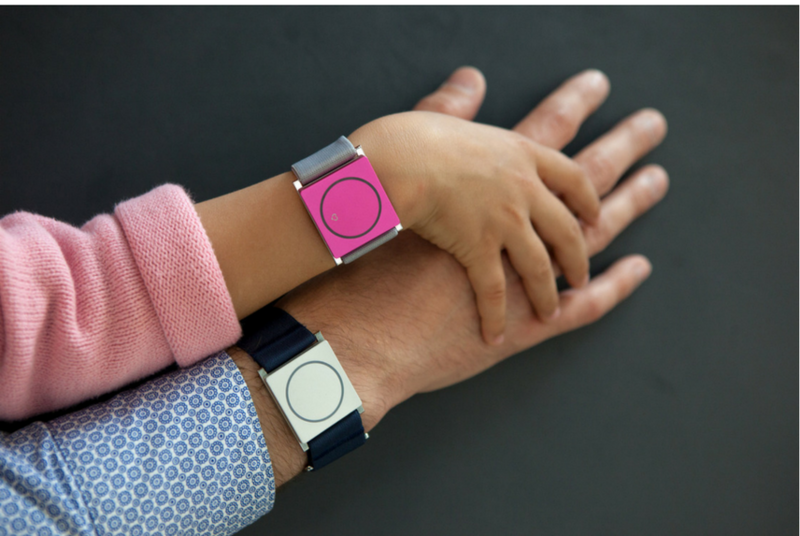 The Embrace is not the only device out there with the goal of detecting seizure activity. Others have developed similar seizure detection systems to collect and share data with doctors to give them a picture of their patients’ condition between regular appointments. SmartMonitor initially developed a smart watch to detect shaking similar to a convulsive seizure, and recently released its technology in the form of an app for Apple Watch. THREAD Research also developed a smart watch app used to track epileptic seizures for ResearchKit in association with Johns Hopkins University. Detecting and identifying seizures is a good start toward empowering sufferers of epilepsy to track their condition in real-time, but the next frontier for developers of such technology will be to create systems that warn patients even before a seizure occurs. With millions of epilepsy sufferers in the U.S. alone, demand for such technology is strong, and it will likely not be long before advance seizure warning systems become reality.